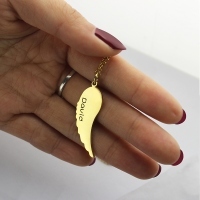 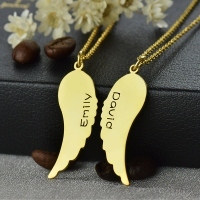 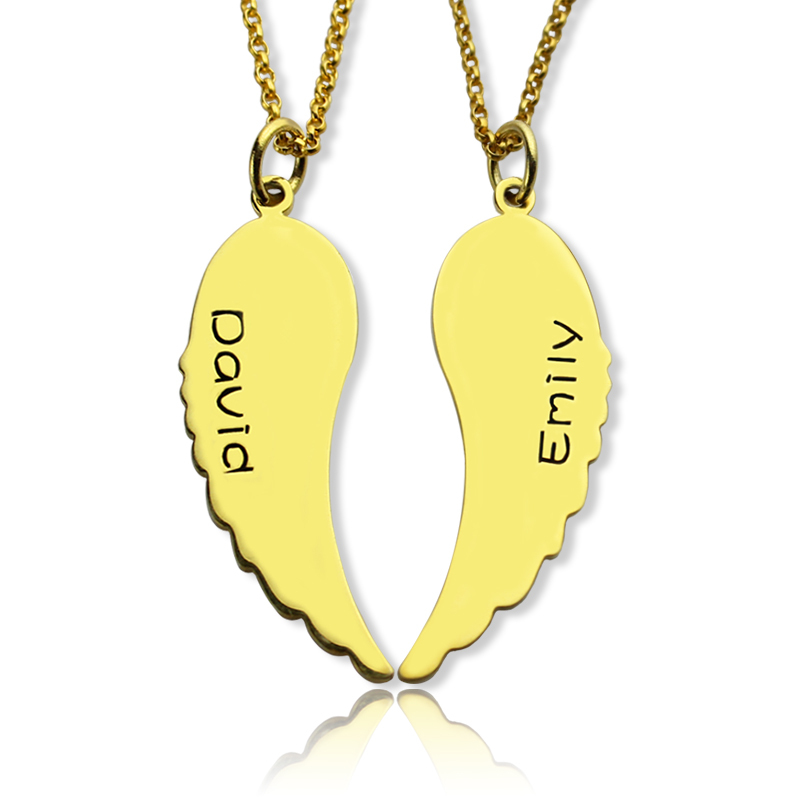 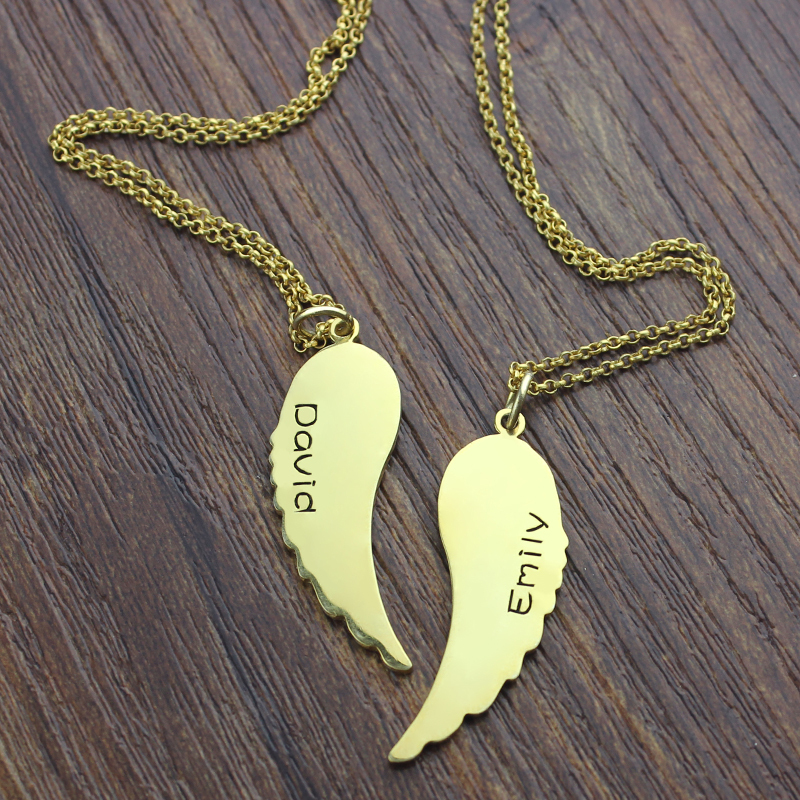 Matching Angel Wings Necklaces Set for Couple 18K Gold plated - The meaning of Personalized Angel Wings Charm Name Necklace is just that, only for you and me.To give you beautiful jewelry you can engrave to create a truly timeless gift. This piece features antiqued silver vertical pendant with a wonderful angel wing shape, all suspended from a delicate rolo chain. We made it for her to love, but it's your words that make it perfect.